“Hermana!” That’s the first thing out of Erin’s mouth when she sees her Little Sister, Magali. It’s the first word of every postcard, text message, email and phone call between the two, and a reminder of nearly a decade of friendly teasing from Magali’s Spanish-speaking family. And Magali, who is learning French from her Big, fondly calls Erin “soeur.” In any language, they’re sisters. Since that day, Magali has blossomed. An outgoing high school senior with a bubbly personality, Magali says she has gained self-confidence just from knowing Erin believes in her. “She’s always saying that she sees a lot of potential in me. That means more than anything else,” Magali says. 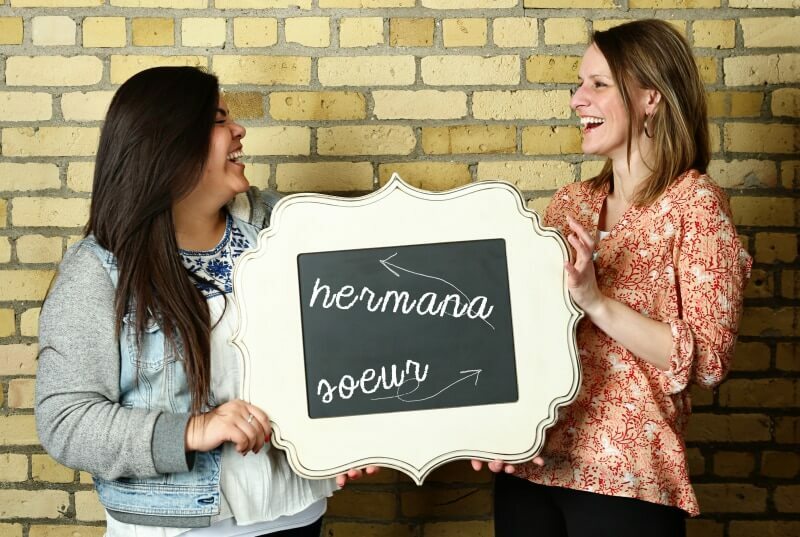 Over nine years of mentoring, the two have created several memories that showcase their “sisterhood”: teaching each other Spanish and French, shopping for a homecoming dress, serious conversations about the future, giggling over silly jokes. And their friendship continues to grow. Both hermanas say they can’t imagine a day when they won’t be friends.